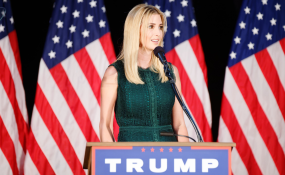 White House Advisor to the U.S. President Ivanka Trump arrived in Addis Ababa today, April 14, for a two-day visit that will focus on African women's economic inclusion and empowerment. She was greeted by U.S. Ambassador to the African Union Mary Beth Leonard and U.S. Ambassador to Ethiopia Michael Raynor and is joined by USAID Administrator Mark Green and OPIC Acting President and CEO Dave Bohigian. During the visit, Ms. Trump will discuss U.S.-led initiatives to promote opportunities for women's inclusion and seek to learn about ongoing efforts in meetings with Ethiopian government officials and the African Union, as well as engagements with women leaders in the business community and civil society. The United States remains a committed partner to Ethiopia as it embarks on significant democratic and economic reforms, and looks forward to discussing ways we can help advance the African Union's vision as articulated by Agenda 2063: "An integrated, prosperous and peaceful Africa, driven by its own citizens and representing a dynamic force in the global arena." Copyright © 2019 United States Embassy. All rights reserved. Distributed by AllAfrica Global Media (allAfrica.com). To contact the copyright holder directly for corrections — or for permission to republish or make other authorized use of this material, click here.